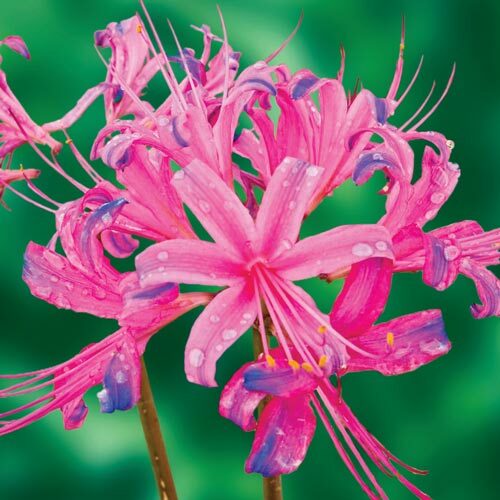 A spectacular choice for late-season color, the flower color varies from pink tipped with blue to deeper pink to almost entirely electric blue flowers. Large, 8" clusters of 5-7 flowers open on top of 15" stems creating an eye-catching effect in the garden. Lycoris sprengeri's size makes it well suited for many garden locations, including borders and containers. 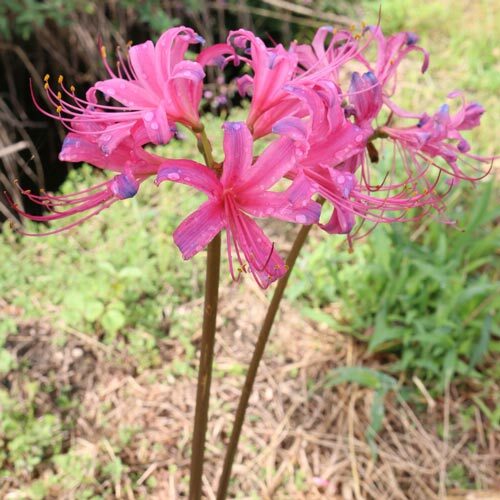 Also called a Surprise Lily, its stems and straplike, basal leaves are smaller than many of the other species. Blooming in late summer to early fall, the Electric Blue Spider Lily flowers when many other perennials are at rest. It grows best when planted in full sun to partial shade. Bulb size: 10+ cm. A 8'' cluster of 5 - 7 flowers on top of stem. Likes enough moisture during active growth. Do not water during dormancy.